When I wrote One More Step, I didn’t have a workspace to call my own. I wrote in coffee shops, on my bed, on the couch, or from the dining room table. It felt like a little here, there and everywhere. Perhaps you can relate. With school starting soon, taking time to think through and organize your office space can be a wonderful way to prepare for a new season. With the busy work days ahead, I really wanted to write in a faith-filled space that would remind me to rely on Jesus. 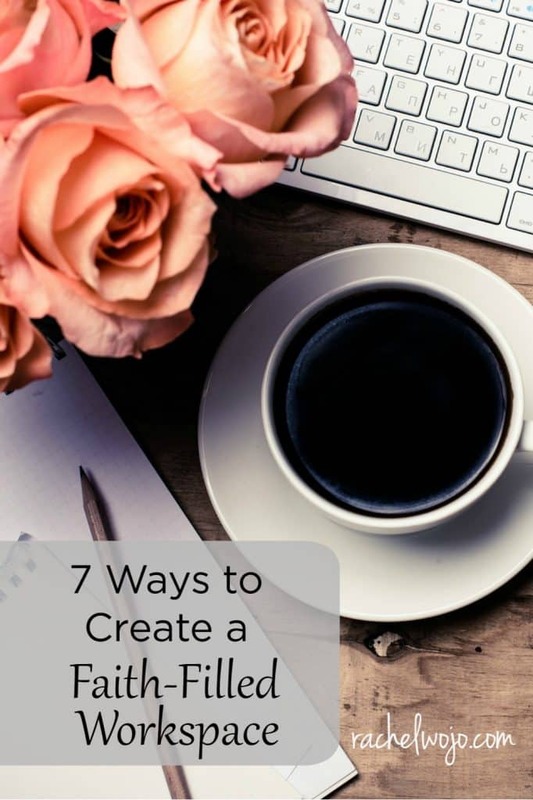 Whether a hectic day full of meetings and deadlines, or a quiet day of steady workflow, these 7 ways to create a faith-filled workspace can be used to regroup and rejuvenate. 1. Use Scripture wall art. You’ll want to hop over to my friends at Dayspring to finish reading the rest of this post! Thank you so much, this is a good idea, totally good and easy to do.